We have a variety of carriers available for you to try out during our monthly meet-ups. Because we have a great number of members, we are utilizing the Learning/Lending model to help ensure everyone is able to try out carriers they are curious about, without long wait lists. Where do you check out a carrier? We currently lend carriers at our North (Cedarburg) and South (Bay View) meet-ups. Check out the Events section to see the upcoming events and meet-ups, or visit our Facebook Page’s calendar. We have divided the MBW Lending Library into “A” and “B” libraries. Currently the “A” library will lend from the North meet-up (Cedarburg), and the “B” library will lend via the South meet-up (Bay View). You will return your rented carrier to the same location where you checked it out from, one month later. Attend one of our Lending Library events. Carriers are reserved on a first-come basis. We do not reserve carriers beforehand, but you may sign up for your chosen carrier at the beginning of the event. 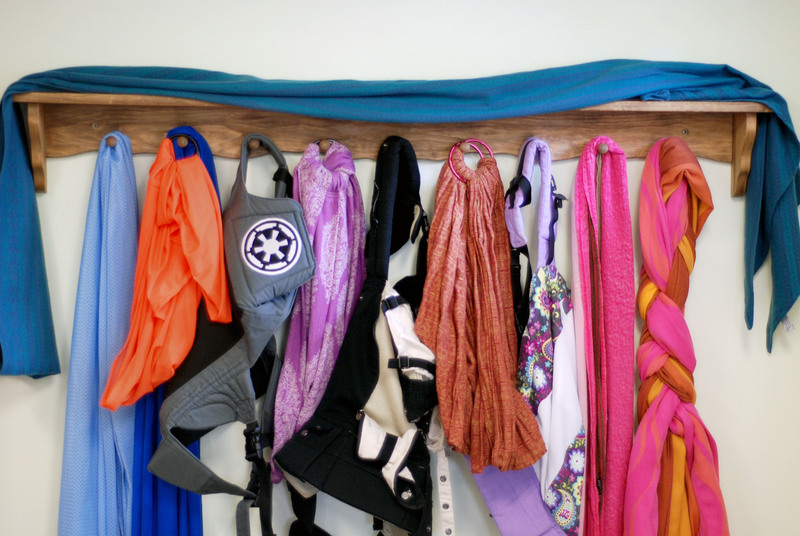 Try on a variety of carriers and decide on the one you would like to take home for the month. At the end of the event, invoices must be paid via PayPal. Pay your invoice. Please read the terms and conditions. 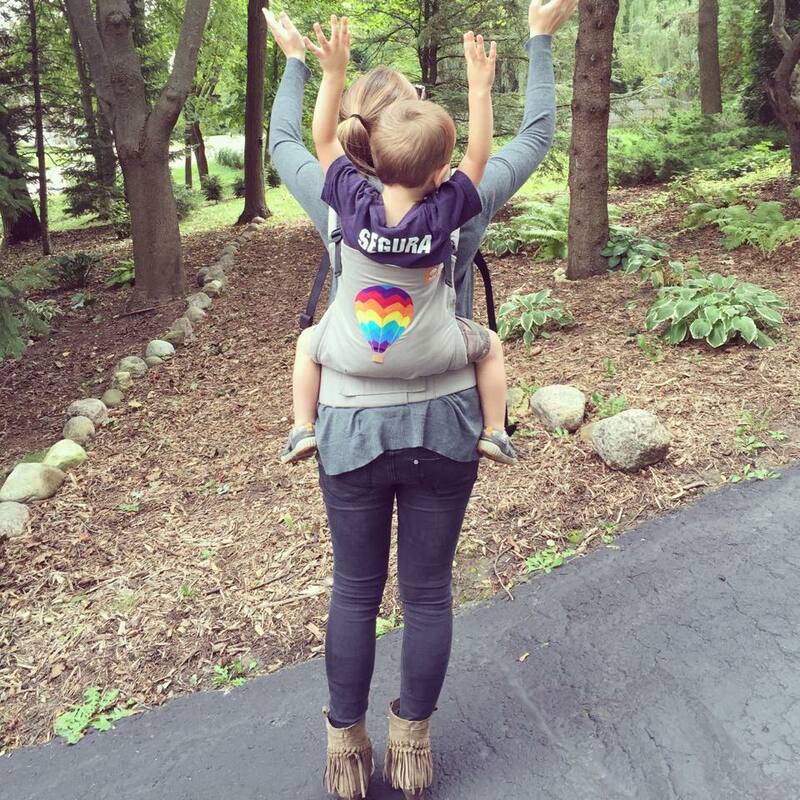 Leave with an awesome baby carrier for the month! Rentals are $6/month. Or you may purchase a yearly membership for the discounted price of $50, which allows one carrier rental at each Lending Library event you attend. All rentals are invoiced via PayPal only. Please have your PayPal account information ready if you are checking out a carrier. Invoices need to be paid at the end of the event prior to leaving with your carrier. A carrier is due back in one month, to the same event it was checked out from. Carriers must be returned in the first half-hour of the event to allow other families to try the carrier on before it’s checked out again. For example: You attended the North meet-up in January; your carrier must be returned to the North meet-up in February. If you want to return early, please contact us for arrangements. If carriers are not returned within the one-month time frame without communication with us, you will be invoiced for the FULL REPLACEMENT COST of the carrier. PLEASE NOTE: We do not charge for wear-and-tear or accidental damages. However, tobacco smoke makes our carriers unsafe for use with babies and will result in you being charged the FULL REPLACEMENT COST of the carrier. If the leader at a meet-up deems your carrier damaged by tobacco smoke, it will be sent home with you and you will be invoiced. Thanks for your understanding!